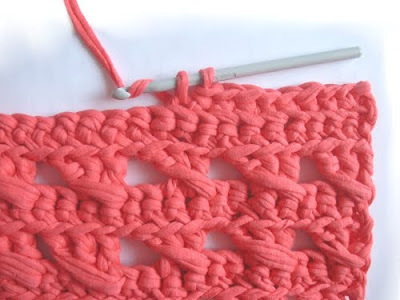 To make this beautiful T-shirt yarn square rug you only need 1 ½ Kg of T-shirt yarn and a XL crochet hook, in this tutorial we are going to show you the stitches you must use to make a medium size rug with a gorgeous design. 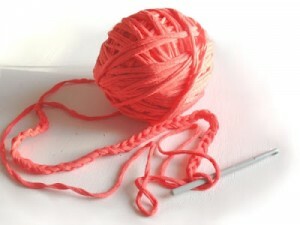 This is a tutorial created for weavers with medium experience, so, if you have some crochet skills is going to be really easy for you to follow the instructions in order to make the rug. To make this T-shirt yarn rug (Alice T model) start by doing 43 chain stitches. Then, continue weaving and make 3 chain stitches to make the bars in order to create holes in the weave and reach a “fretwork” appearance. 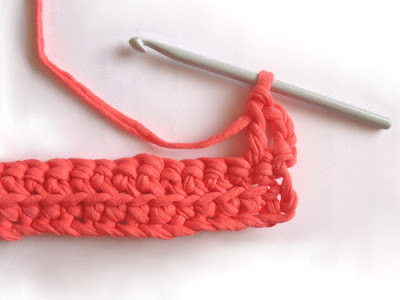 When you reach 2 columns leave 2 empty stitches and repeat the procedure following the tutorial, in this way you can achieve a diagonal weave, as you can see in the image below. 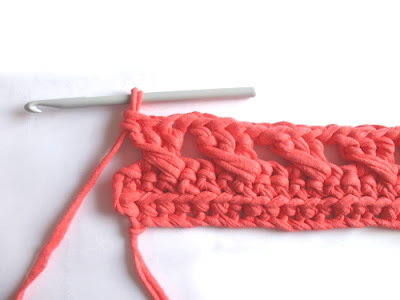 This kind of weaving is not really difficult, and if you have experience working with crochet you can follow the tutorial step by step. This rug has an interesting final design with diagonal bars that create volume in the weave. You can see the full tutorial at the source in the end of the article. This entry was posted in Rugs and tagged crochet scheme, how to make rugs, how to make t-shirt yarn rugs, ideas, rugs, t-shirt yarn rugs, tutorial, xl crochet on April 5, 2014 by Sue. I like to crochet and I to know more about how to crochet. I like to have a free step-by-step how to make it thank you. Hope to hear from you. Hi, I would also like this pattern please, thanks! Hello I would like pattern please very interested t-shirt rugs wow good idea I would try .! 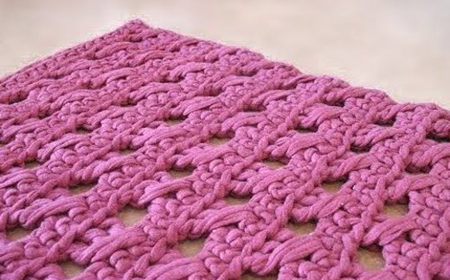 Want to learn to crochet.like the square rugs.